Moscow imposed restrictions did not stop the United States in their efforts to support non-governmental organizations in Russia, said at a press briefing U.S. State Department spokesman Victoria Nuland. "As you know, the Russian side has serious limitations (were reflected) on our ability to make direct financing in Russia, taking in particular the decision to curtail the activities of the Agency for International Development, — She said. —However, we (still) … provide funding to organizations that want to work with us, with the understanding that they are now required to report on its work to the government ". In this Nuland reservation, that the United States, carrying out such funding is used"Mechanisms outside of Russia". "We do not want to go into detail about how we do it, because it is only jeopardize the program and organizations that receive (U.S. money)", — State Department spokesman added. Nuland statements were made in connection with proceedings brought in Russian inspections nonprofit organizations, according to ITAR-TASS. 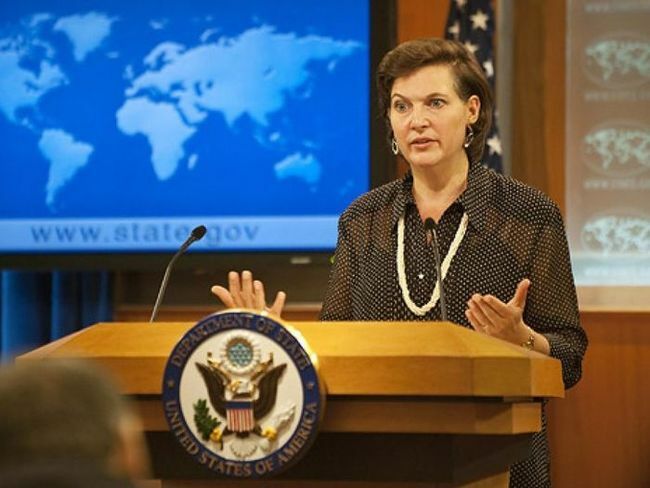 "The United States is deeply concerned about the unprecedented wave of audits of NGOs and civil society organizations, including religious and educational organizations in Russia, — She continued. —These checks, apparently aimed at undermining the importance of civil society across the country ". According to her, the U.S. government has brought its concerns to the attention of the Russian authorities. "We remain concerned about a series of laws passed by the Russian government in 2012, which impose severe restrictions on the activities of NGOs in Russia, — Said the representative of the State Department … —We will continue to support those in Russia who seek to strengthen civil society in their country ". Massive check-profit organizations come in a number of Russian regions. According to the Association "Agora", reports of inspections were received from more than 80 NGOs from 22 regions of Russia.